The first juvenile offender resentenced under the California Fair Sentencing for Youth Act was released from prison this week thanks to the work of law students with USC Gould’s Post-Conviction Justice Project (PCJP). Edel Gonzalez, who was sentenced to life without the possibility of parole for a crime he committed at age 16, was represented by the PCJP and Irell and Manella. Human Rights Watch consulted on the case. Gonzalez, who turns 40 next month, served 24 years in prison for being present at a murder committed by adults. He was the youngest person in Orange County to receive a life sentence without the possibility of parole. After taking into account Gonzalez’s pristine prison record and the passage of two new laws, California parole officials and Gov. Jerry Brown determined that Gonzalez was suitable for parole. The California Fair Sentencing for Youth Act, signed into law by Gov. Brown, allows juvenile offenders sentenced to life without the possibility of parole to petition the court for resentencing after serving 15 years. In December 2013, a judge gave Gonzalez a new sentence with the possibility of parole. 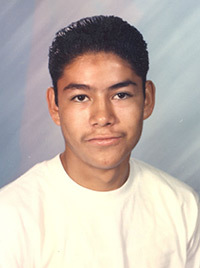 Once eligible for parole, Gonzalez benefited from Senate Bill 260, which went into effect in 2014, requiring parole commissioners to consider the diminished culpability of youth at the time of their crime. The legislation was co-sponsored by USC Gould’s PCJP, with Gould professors and students helping to draft the bill. They also testified in Sacramento to urge its passage. For the past several years, courts have started differentiating between youths and adults. In 2012, the U.S. Supreme Court held in Miller v. Alabama that mandatory sentencing of juvenile offenders to life without parole was cruel and unusual. The California Supreme Court modified California’s sentencing law, holding in People v. Gutierrez that sentencing courts must take into consideration a host of factors relevant to the distinct status of juveniles. Among other factors, the courts recognized that adolsecent brains are still developing in ways relevant to culpability. Gonzalez was released this week to U.S. Immigration and Customs Enforcement (ICE), and will be deported to Mexico. Gonzalez and his family immigrated to the United States when he was a baby, and he did not have U.S. citizenship. He plans to work for a church and help mentor at-risk youth avoid the allure of gangs and negative influences. “It is totally in keeping with Edel’s character that he has chosen to spend his life giving back to the community. Reprinted with permission from the USC Gould School of Law.